These studies are part of a series of units to be released progressively. Most will consist of several hundred photos, a wide range of sound effects, recorded interviews, and in some cases video clips. Posted on the World Wide Web this material is free of any restriction as to copyright when used in schools. Having completed his first school assignments on slates, the author is mindful of how things have changed and aims now to provide raw materials free of copyright restrictions which students can use world-wide in the preparation of the power point presentations which are a feature of classrooms in the 21st Century. He hopes that in the process of so doing, students will not only value more highly the diversity of environments and peoples in the wider world, but also learn to tolerate, even affirm, cultural differences within their own community -- together with the need to reduce their environmental footprint. He hopes, too, that they will be able to produce assignments of which they can be justifiably proud. Photographs can of course be obtained from a variety of sources: what makes this archive unique is the provision of sounds to match. It is hoped that the sound effects will be of particular assistance in programs developed for visually impaired students: and additional sound bites can be downloaded from the video extracts. The only condition attached to the use of this material in the classroom is the same as that which applies to any assignment which draws upon material produced by someone else – namely that students footnote their sources. Tyman, John. "Inuit: People of the Arctic,"
Bill Hillman's EduTech Research Project, at Brandon University, Canada, 2009.
and the Bill Hillman's Research Project, plus date, as above. the author would be delighted to hear (via gmail) from anyone who found it useful or has further questions. johntyman2@gmail.com for all other materials. Dr. Tyman lived with an Inuit family at what was then Spence Bay in the Canadian Arctic for three periods, of between two and three months each, in 1988, 1989 and 1990 – in spring, summer and winter. (To have lived there for 9 months straight would have placed an unreasonable burden on his hosts, since looking after geriatric academics on the ice can be tiring if not tiresome!) He was fortunate enough to live with the family of Alookee and his wife Anaoyok, both of whom are remarkably gifted. Alookee was not only a great hunter, he was also celebrated as an artist, photographer, licensed lay preacher, church organist, and chairman of the local council. Anaoyok was a gifted designer of Arctic clothing and had previously managed a co-operative that received national acclaim for its production of the uniforms for Canada’s Winter Olympics. She was an expert practitioner of a variety of crafts, co-author of a book on Inuit Dolls, a pillar of the local church, an active member of a range of community groups, and a generous host. This program, accordingly, is dedicated to them both, with thanksgiving. Hitherto their story has been shared only with children in Australia: now it can be appreciated worldwide. Since these materials were collected 20 years ago the picture they present is necessarily dated, at least in part: so students are encouraged to use the Internet to ensure their presentations are up to date. Previously part of Canada’s Northwest Territories, the Boothia Peninsula over which Alookee hunted is now part of a separate Inuit territory known as Nunavut, meaning “Our Land,” and the town of Spence Bay is now known as Taloyoak. With the change in government, the way services are delivered has changed in part, and this has had a particular impact on the quality of education. Of yet greater significance in the long-term have been the results of industrial expansion further south and the impact of temperature changes world-wide. Global warming has resulted in thinner ice and more lives and vehicles lost. The clothes drying in frame 68 of the unit on Clothing and Shelter were soaked when Alookee fell through the ice at a point where in years gone by it had always been safe to travel. While the thinning of river ice and the early break-up of pack ice at sea has interfered appreciably with Inuit hunting in spring, it has had a devastating effect on the migration of polar bears then. In addition the melting of the frozen subsoil (or “permafrost”) has left great scars on the tundra wherever heavy vehicles have been used during the warmer months (destroying the plant cover), and houses have collapsed in town when their foundations dissolved in mud. Pollutants generated by factories in North America, Europe and Asia have also led to a dramatic increase in the contamination of Arctic waters; and both fish and seals are now so high in toxins that are a threat to public health. 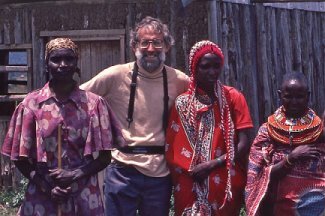 I lived in the village of Torembi in north-western PNG for six months or so in total. I went there first in December-January of 1980-81 and returned for a similar period in 1981-82. I travelled there with a friend, an ethnomusicologist, staying in the "haus kiap"-- a building provided for visiting officials. The latter visited Torembi regularly in "colonial days", but since independence the government's representative has rarely been able to leave his office in Wewak. As a result the haus kiap was in urgent need of repair. The people among whom we lived were hospitable and generous in the extreme, sharing with us food items of which they had only a limited supply. They also demonstrated a wonderful openness, and great patience, in sharing their stories with us (and ignoring my camera and tape recorder). Special thanks are due to Antonia Mungun, whom I hounded for days-on-end non-stop -- from her bedside at dawn to her sago swamp, garden or market place; and back again! 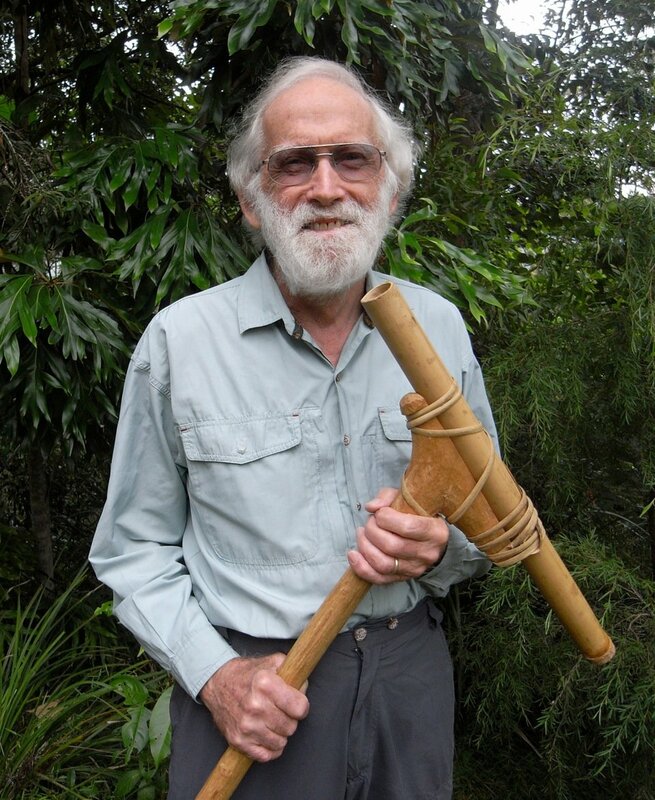 Lucas Mapat was my companion, guard and guide in the bush in 1980-81 and 1981-82. And Norbert Tapi was "our man in Torembi" in 1994 … and later, in that he collected the original drafts of the legends. The highlight of our first visit was the dedication of a new "Spirit House" in Torembi 2 (a once-in-a-lifetime experience) and the photos of its opening all date from this time. Most of the photos of daily life were taken in December/January of 1980-81 and 1981-82. Additional still images were collected in 1994: and the videos were all taken in June of that year. All photos and recordings were taken in and around Torembi. The video images were captured using a borrowed Hi8 camera: the quality is less than perfect but some of the sequences are unique. The purpose of the return trip in 1994 was to resolve questions raised during earlier trips: but it was also an opportunity to observe changes that had taken place. The saddest thing was the death in the meantime of several of the "big men" we had come to know. (The life expectancy of men in PNG is just 54 years!) They were the custodians of much tribal tradition, including music, and the community was impoverished by their loss -- since few young men had been properly initiated. Faster transport, with the bridging of the creeks to the north and the availability of a "road" open intermittently to 4WD vehicles, had allowed the importation of the beer which has undermined the social fabric of communities elsewhere. Torembi is unlikely to suffer the degree of violence experienced in the cities of PNG, but signs of stress were obvious even then. I was not aware in 1994 of any cases of HIV infection, but there may well be some now, for in recent years the number of people with AIDS in PNG has increased dramatically. There had also been occasions when a generator was brought up-river on a motorized canoe, to allow for the presentation of movies and TV shows on DVD. They, too, are bound to have an impact on traditional values and culture. And these processes are likely to continue. This study of three different habitats in East Africa is, at one and the same time, the most dated and the most recent of the studies of "Cultures in Context" posted on the World Wide Web. This is because although almost all of the Samburu images, most photos of the Luyha, and all of the sound recordings, were collected in 1982, their story has been updated using photos and emailed information provided by faithful friends. My notes on the Luhya were checked and updated by Charles Mudanyi (now living in Busia) who has been a source of valuable information since I stayed with his family in 1982. He has also provided photos illustrating changes that have been made since then. The unit detailing life on the urban fringe of Nairobi is essentially the work of Olita Ogonjo. He took all the photos and later explained them to me. All I contributed was a camera or two and a list of the images I needed. The photographs he was able to collect reflect the community’s trust in one who had long since identified himself with their just desire for improved living conditions. As a visitor from a very different world I could not have taken them myself. And Olita was also able to update my coverage of conditions in northern Kenya among the Samburu and their neighbours – and provide additional pictures. I flew to Kenya in August 1982 -- when the residences of my university in Brisbane were commandeered for athletes competing in the Commonwealth Games. I spent two months among pastoral tribes in the north, courtesy of the Rural Development Centre at Maralal, and visited a number of Samburu settlements within walking distance of the town. In the account that follows the lines between the cultures of the Samburu in the north and the Maasai in the south have been blurred because they have so much in common. I followed this up with two months in the Western District courtesy of Richard Ong'anda, principal of the school at Ingotse and a former student of mine in Canada. With his home as my base I was able to spend time with several different families, notably the Mudanyis. After that I invested several rolls of film and a great deal of energy in documenting the zonation of vegetation types on Mount Kenya (from tropical forest to snow-capped peaks) before I left Kenya for the Sahara. View 700 high resolution photos, each with descriptive text. KENYAN SOUND EFFECTS: 108 sound bytes with accompanying text. This unit on Nepal is based on material collected during two expeditions -- in 1986 and 1996 -- and on communications maintained for 25 years with a friend I met on my first trip. In 1986 I joined a group of trekkers and, in the course of a month’s walking, followed the valley of the Marsyangdi from Dumre on the road east of Pokhara to the river’s source at Phedi; then over the Thorung La pass to Muktinath and the gorge of the Kaligandaki River which we followed as far as Tatopani. Here we left the gorge and, following tributaries of the Kaligandaki, cut across country via Ghorepani and Lumle to the lake at Pokhara. Most of the photos in included in “Part Two : Life in the High Country”, were taken during this period. So too were my earliest photos of land use in the Midlands and in the Kathmandu Valley, where I spent some time before I left the country. I had chosen to trek in November and December, when the summer monsoon was long past, visibility had improved, and rice and other summer crops were being harvested. Ours was the last group to cross the Thorung La that year: it was snowing heavily and the pass was closed by snow throughout the winter. In the course of that trek I encountered a young man walking beside the Kaligandaki with a gigantic copy of “Fowler’s English Usage” under his arm. As is my wont I struck up a conversation with him, learning that he was then teaching English at a local high school -- and we have been friends ever since. 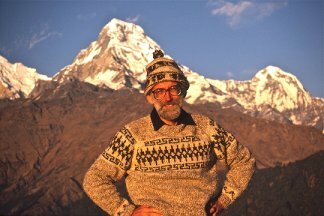 When I returned to Nepal I lived with him and his family -- first in the Midlands, then on the Plains. Gopal serving sometimes as my cameraman. The sound recordings and video clips all date from this second trip, that is from 1996. The 33 video clips provide a varied (and in several cases, I believe, unique) window upon life in Nepal at a time when its era as a Hindu kingdom was drawing to a close. But there were (and are) inevitable limitations. My coverage of family life is detailed but makes no claim to be comprehensive. My friend is a Brahman, and the behaviours I observed are, therefore, representative of just one of the many cultural groups, and sub-groups, which make up the population of Nepal. In other words, in this study I have, inevitably, done no more than scratch the surface of reality in a country which must surely rate as one of the world’s richest countries culturally ... as well as the most beautiful! View 778 high resolution photos, each with descriptive text. This unit is based on material collected in the course of expeditions twenty years apart ... the first in the (northern) winter of 1982/83 and the second in the winter of 2003 ... supplemented by internet images of people and events which the author was not able to witness. In both cases he was fortunate enough to be traveling at times of relative stability, in a region which in recent years has been wracked by political unrest and terrorist attacks. Travel in hot deserts is, of course, best scheduled in the cooler part of the year. It is also something which few people do alone. The greater bulk of the Saharan images were collected in 1982/83, when the author joined an expedition organized by an English company. They used an old 4WD truck that had seen service in the British Army during the war ... plus sand mats! At that time Libya was closed (also Mali for all intents and purposes) but both Tunisia and Algeria were open. The expedition travelled (mostly overland) from north to south across Algeria roughly parallel to the Libyan border as far as Djanet and the Tuareg. They next headed west to Tamanrasset, and then followed the road north via In Salah and Ghardaia to the departure lounge of the airport in Tunis. Negotiating border crossings was always an occasion for concern on the part of travelers but not physically dangerous then. 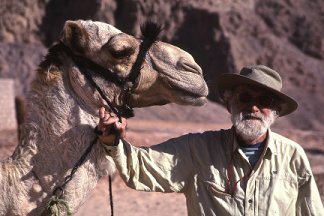 The author’s visit to Egypt was arranged through “Imaginative Traveller” in the UK, in 2003. The terrorist attack on tourists at Karnak some years before had reduced the flow of tourists to a trickle. There were armed police everywhere but it was possible to travel the length and breadth of the country. The author joined a small group as before, but was able to leave them for a few days in the Sinai to live in the Bedouin community at Ain Khudra. Since then, of course, travel in Egypt has been next to impossible -- with the return to political instability and terrorism. The author’s North African experience differs from that illustrated in previous Web Page units in that Islamic provisions regarding the separation of women made it impossible for him to live within families as before. Activities outside a family’s house or tent were open for inclusion in a photographic record, but nothing inside. Hospitality is still a function of life in the desert but there are limits to what a man may witness and/or record on film. Lastly, since many of the settlements visited are too small to appear in atlases, maps have been provided showing the location of places visited and illustrated in the photographic record that follows. 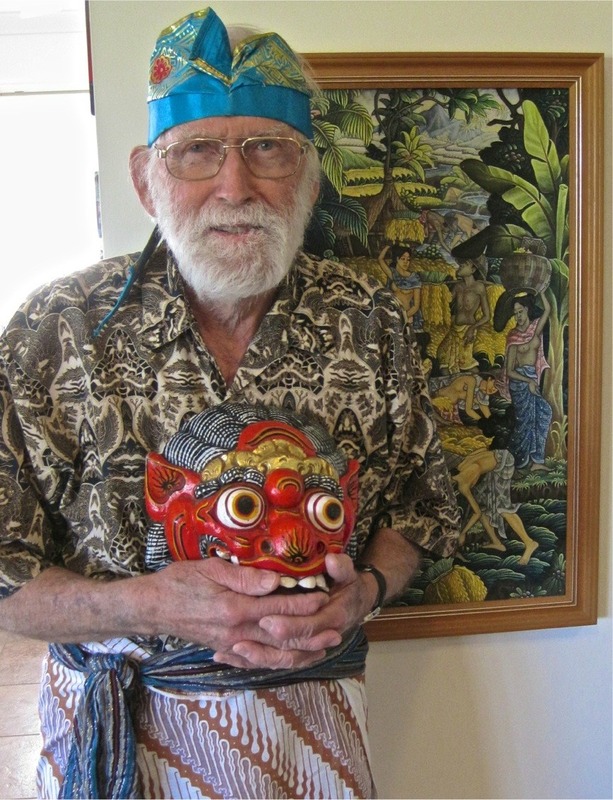 Introduction to Bali Portal This study of a traditional lifestyle under threat is, at one and the same time, one of the most dated and the most recent of the studies of "Cultures in Context" posted on the World Wide Web. This is because all of the images were collected during a short holiday in 1984. They were used during my visits to schools, but were not scanned for internet use till recently. 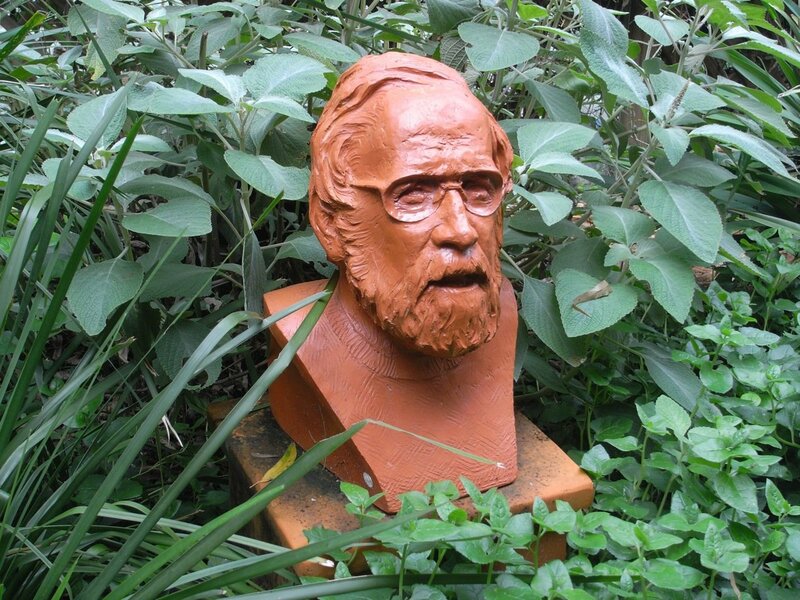 .John Tyman Biography John Tyman was born in England and after service in the British army and study at Oxford University he moved to Canada in 1959, first to McGill University in Montreal and then to Brandon, Manitoba, where he established the Department of Geography in 1962. His particular academic interest then was historical and cultural geography, and his doctoral thesis at Oxford examined processes at work in pioneer settlement, on the Prairies in general and Western Manitoba in particular. 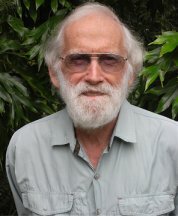 Serving as Dean of Science in 1974 and 1975 he then moved to Australia, which he had visited previously on a post-doctoral fellowship from the Canada Council (lecturing at universities in Perth and Townsville). 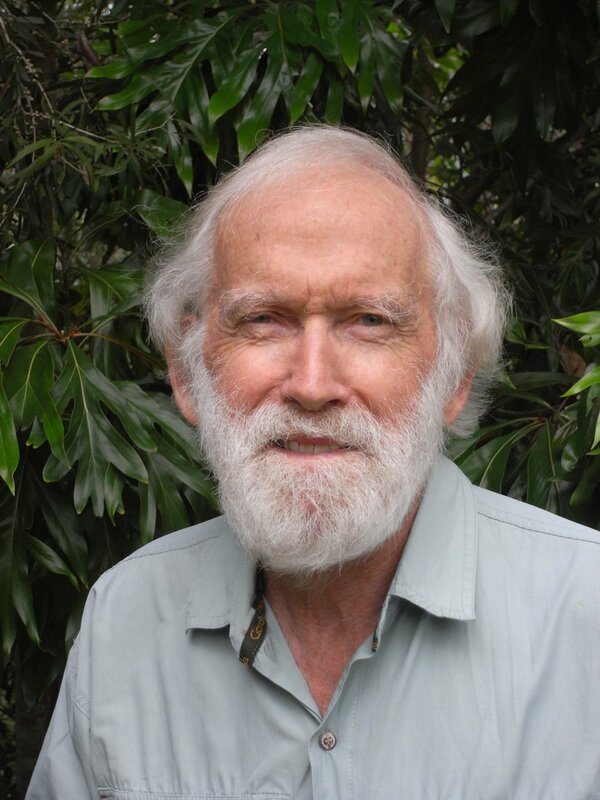 In Australia John was employed initially as Principal Lecturer in Social Studies and Head of the Division of Humanities at the Mount Gravatt Campus of the Brisbane College of Advanced Education. 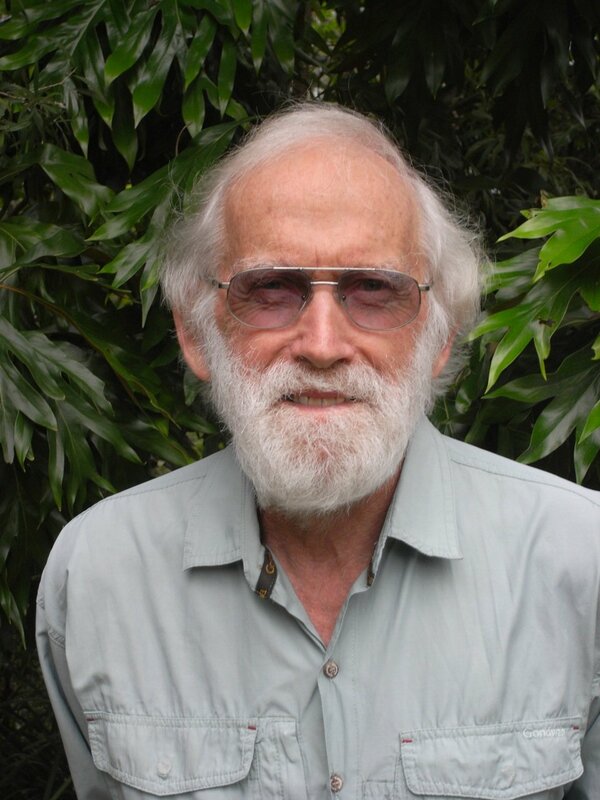 He was later appointed associate professor of education at Griffith University, and between 1976 and 1990 was involved in the training of teachers -- sharing with trainees his enthusiasm both for the study of other cultures and for ways to communicate this enthusiasm in the classroom. During this time he indulged his interest in indigenous societies by living for extended periods of time with ordinary families in a range of environments – from the snowy wastes of the Arctic to the Equatorial rainforests of Papua New Guinea, and from the snow-capped peaks of the Himalayas to windswept salt pans (below sea level) in the Sahara. In so doing he wanted to experience first-hand the realities of daily living under often difficult conditions and, using a variety of cameras and tape recorders, to produce “snapshots” of evolving societies at a particular point in time. The aim of these portals, in consequence, is to provide both students and teachers with samples drawn from the enormous volume of material he collected during those years, and to do so in a form which they can actually use. 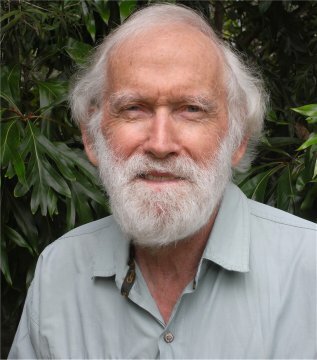 John “retired” from Griffith University in December 1990, and thereafter toured schools in Queensland and New South Wales for 15 years. He was employed initially as a Religious Education Consultant, and invested much energy in improving the status of faiths other than Christianity in the classrooms of a multicultural society. Frustrated by red tape and a plethora of committee meetings, however, he left the Department of Education a year later. He was then licensed to tour schools with an independent resource program aimed at bridging racial and religious divides and developing cross-cultural understanding. Drawing upon the audio-visual material he had collected over the years and a vast collection of artifacts, he offered programs that were both interactive and multi-sensory -- demonstrating the principle he had expounded at teacher’s college, that the best lessons are always orgies … in which all the senses are involved! 2. That there is usually a good reason why people in different natural and human settings do things differently. For example, the term "Eskimo", meaning "eater of raw flesh", was invented by Indian tribes living in forests further south. Most of us would also consider eating raw meat a trifle bizarre: but if you have no firewood because it is too cold for trees (as it is in the Arctic) it makes sense. 3. One's capacity for tolerance, therefore, grows in accordance with one’s depth of understanding; whereas prejudice is nourished by ignorance and fear of the unknown. 4. All people, regardless of how different they may appear to be, actually have much in common. We are all human beings, living on the self-same planet, and we must learn to live together. 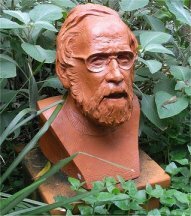 A radical lay preacher for 40 years (vilified in Brandon for championing the cause of its Indian and Metis peoples) he was ordained an Anglican priest some years back and has charge of a country church in northern New South Wales, where he is again trying to bridge divides between different faiths. Between times now he struggles to identify the thousands of photos he is cataloguing for inclusion in Professor Hillman's archive … before he loses his mind completely! When he was appointed Dean of Science at Brandon long ago, he was warned by his predecessor that "old deans never die, they just lose their faculties". Copyright Pitt Rivers Museum, Oxford University, 2011/2014. Contact Dr. John Tyman for information regarding public or commercial use.